The result was a play that takes place just after General Robert E. Lee surrended at Appomattox to end the Civil War. It is April 1865 and Caleb (Adam Hass Hunter) has returned to the home his confederate family owned. He finds the house in shambles. He also finds now former slaves Simon (Charlie Robinson) and John (Jarrod M. Smith) there. Over the course of the play, all three men have to face the consequences of the past and a rather uncertain future. 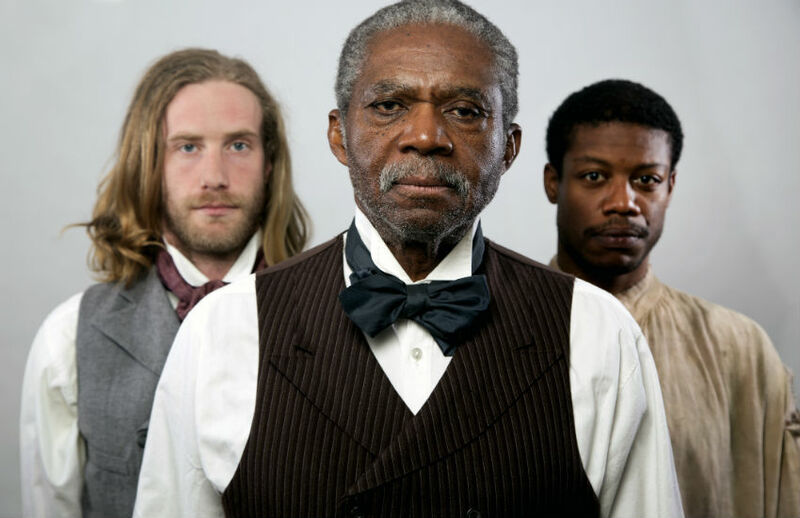 First produced in 2006, The Whipping Man went on to be produced at New York’s Manhattan Theatre Club in 2001 garnering Lopez the Obie Award and Lucille Lortel Award for Best Play. Currently running at Costa Mesa’s South Coast Repertory through January 25, The Whipping Man will open at the Pasadena Playhouse on February 4.